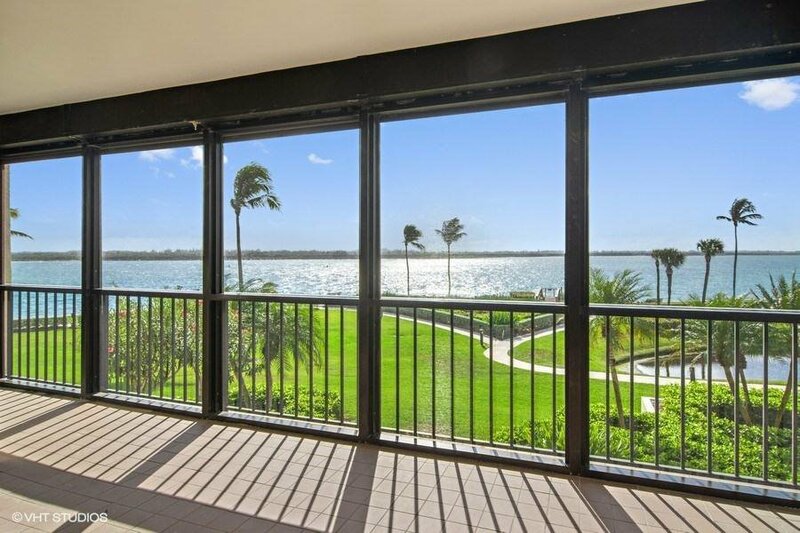 Enjoy the tranquil and peaceful location of this second floor luxury condominium with wide water views of the St. Lucie Inlet, Atlantic Ocean and Jupiter Island shoreline. This residence has been completely updated in impeccable taste with designer finishes, beautiful Hickory hardwood floors, new cabinetry in kitchen and all four baths and custom-built walk-in closets in all bedrooms. The spacious eat in kitchen with breakfast bar features granite countertops, subway tile backsplash, wet bar with wine cooler and stainless steel appliances. Screened and open balconies provide opportunities for entertaining, watching the boats go by and spectacular sunsets!